For a decade, CDW Canada has been helping Canadian educators employ technology to create more engaging learning environments through its Digitize Your Classroom Contest. The contest offers K-12 teachers and administrators across the country an opportunity to win $10,000 worth of technology, such as laptops, software, screens and projectors for their classrooms. One of the winners of our Digitize Your Classroom was Bnei Akiva Schools of Toronto. The faith-based Jewish high school has approximately 270 students across its two Toronto campuses – one for boys and one for girls. 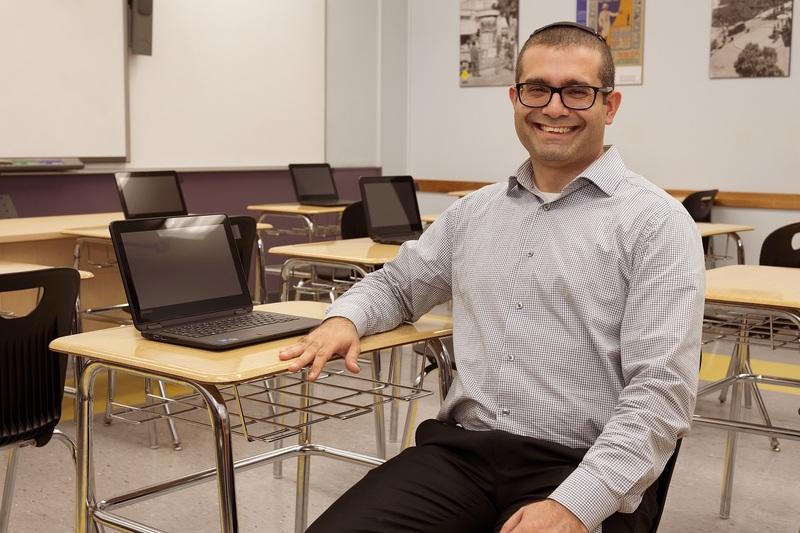 The school is dedicated to employing technology to deliver a robust program for its students, said Mordechai Sabeti, the school’s executive director, and will use the technology it received from the Digitize Your Classroom Contest, including a Lenovo N23 Chromebook; 18 Lenovo N24 (Touch & Pen) Windows 10 S 4GB/64GB Notebooks; a Lexmark MX310DN Multi-function printer; and an InFocus INF6500e 65-inch capacitive touch display, to boost its existing digital programs. Ensuring each student has their own device enables Bnei Akiva to employ blended learning that combines digital media with traditional face-to-face classroom instruction. For example, a math teacher could record a lesson with audio and video and make it available to students. Students could watch the lesson at home, then come to school the next day and apply what they learned from the video in the classroom. Blended learning has boosted student engagement, Sabeti said, but it hasn’t been an entirely smooth journey. Until now the school has been unable to administer year-end exams on student devices because the software Bnei Akiva uses for the exams does not support Chromebooks. Thanks to Digitize Your Classroom, the school has loaded its new Lenovo notebooks with its testing software and plans to issue the machines to students with Chromebooks so the entire class can use laptops at exam time. The school is also exploring ways to incorporate stylus capability into its lessons. Until now it hasn’t had machines that incorporate a stylus, Sabeti noted. The school is considering two possibilities. The school is also looking forward to employing its new touch display. The capacitive touch capability makes it an ideal tool for the front of the classroom, Sabeti said, where it can boost student interaction.